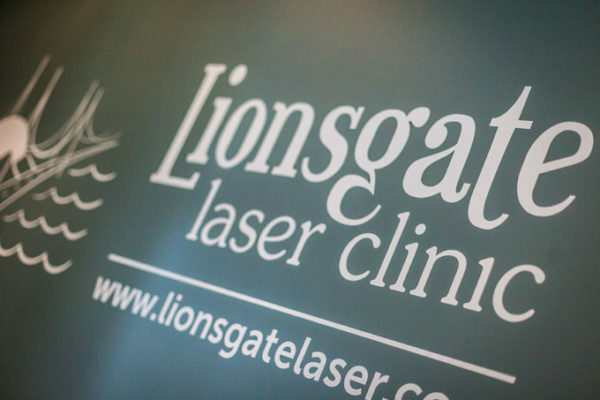 Lionsgate Laser Clinic – Laser hair removal – do it once, do it right! 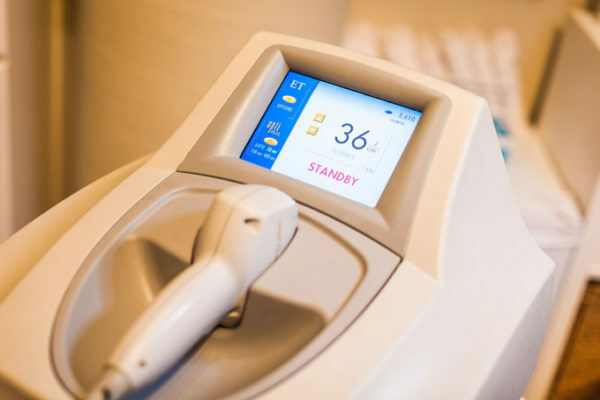 With the Gold Standard LightSheerTM Diode laser system, Sally has gained an award winning reputation in the industry for treating virtually all skin types safely and effectively. 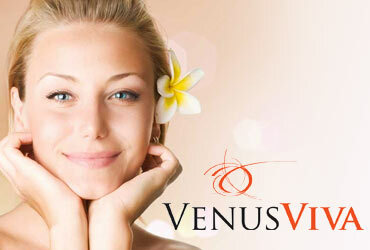 The Venus Viva is used to treat acne scars, improve skin tone & texture, tighten loose skin, reduce wrinkles and reduce sun damage and brown spots. Your search for the perfect eyebrows are over! Microblading is a new semi-permanent brow technique promising natural-looking, fuller brows. 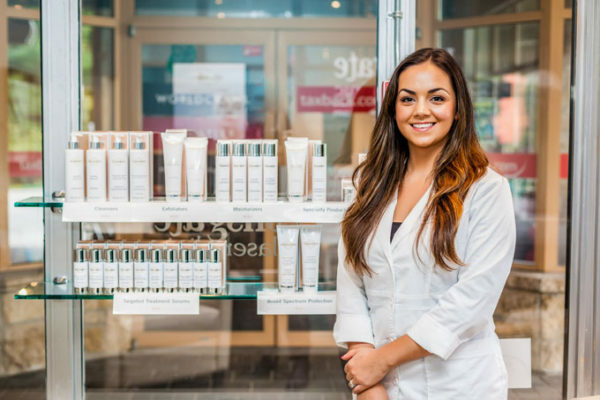 AlumierMD uses innovative ingredients with advanced delivery techniques to deliver exceptional results both in treatment and at home. Get lashes that WOW with minimal maintenance with a Lash Lift and Tint! 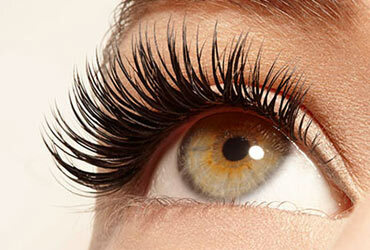 You will wake up with beautifully curled and dark lashes for up to 8 weeks! Scientifically proven to gently change the pH of your body from acid to alkaline, and detoxify the body of heavy metals. 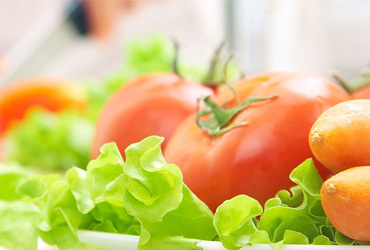 Whether you suffer from IBS or depression, you want to lose a few pounds, or just boost your immune system, Sally is a certified nutritional counsellor and will be happy to help you on your journey. 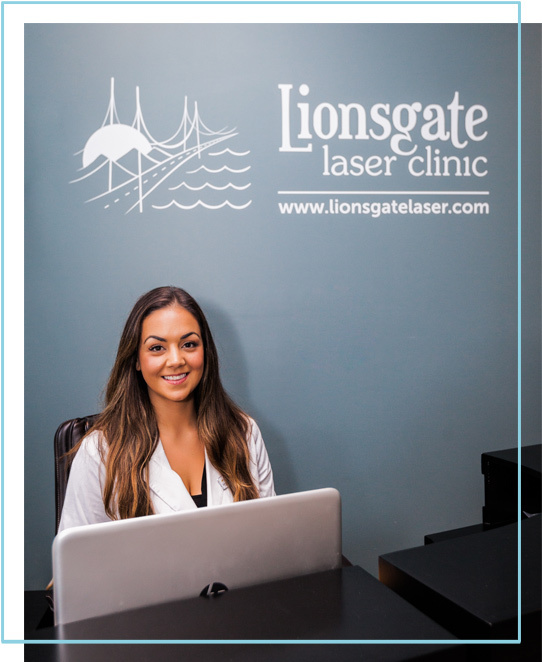 At the Lionsgate Laser Clinic, our mission is to offer safe and effective laser hair removal treatments at prices that will please you. To ensure that our treatments bring quick and lasting results, we offer customised packages that are moulded to your special needs. Using cutting edge LightSheer™ ‘Gold Standard’ laser technology, we treat virtually all skin types. 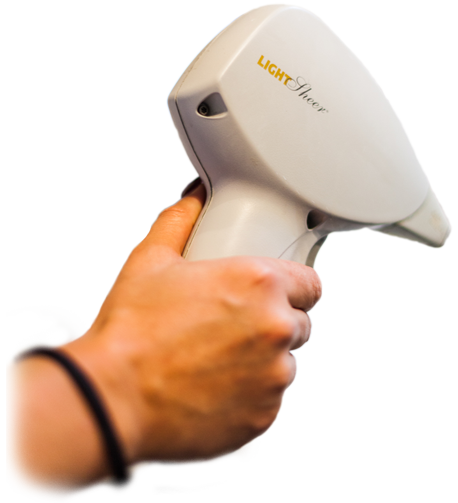 The LightSheer™ Diode laser system was designed from the ground up to facilitate safe laser hair removal with superior results. A ‘Gold Standard’ for hair removal with unsurpassed records of recognized success. The LightSheer™ Diode has a range of settings of both short and long (400ms) pulse to safely and effectively treat all skin types and a range of hair colors, diameter and depth. 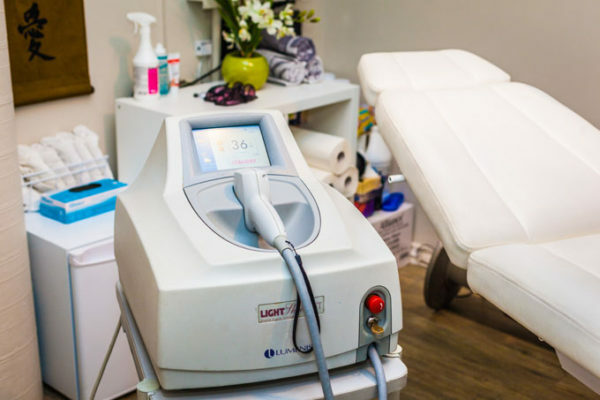 Read more about our laser hair removal procedure. 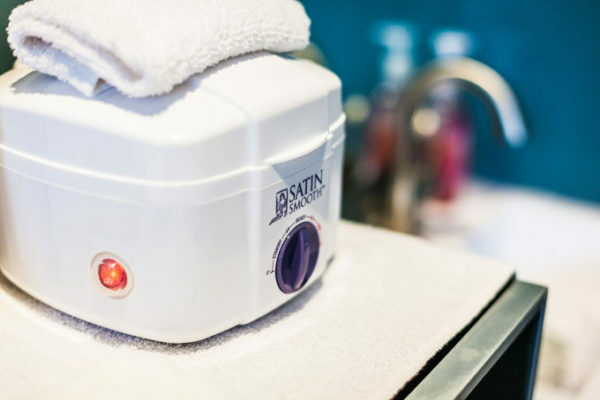 Imagine never having to worry about tweezing, waxing or shaving ever again! With our three locations and flexible hours, we'll allow you to book an ideal treatment time for your schedule. Flexible payment options allow you to pay as you go with your treatments and maximize when you get a package of 5. With over 16 years of industry experience, Sally will make you feel at ease while delivering the best results. Successfully treated thousands of happy clients across multiple ethnicities and age groups will ensure you get a service tailored to your individual needs. 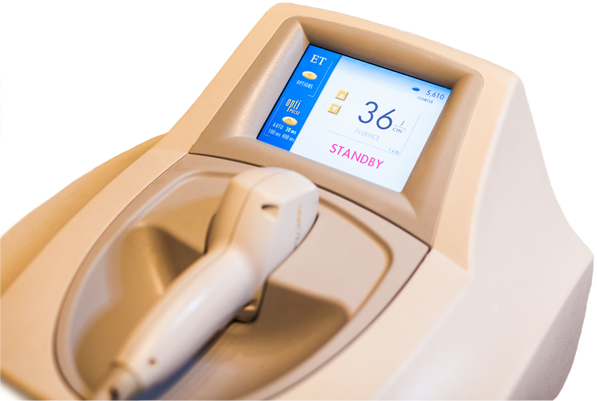 Know you'll be getting the best results being treated with the "gold standard" Light Sheer Diode Laser. Check out our testimonials from hundreds of happy clients sharing their stories of their own personal hair loss. 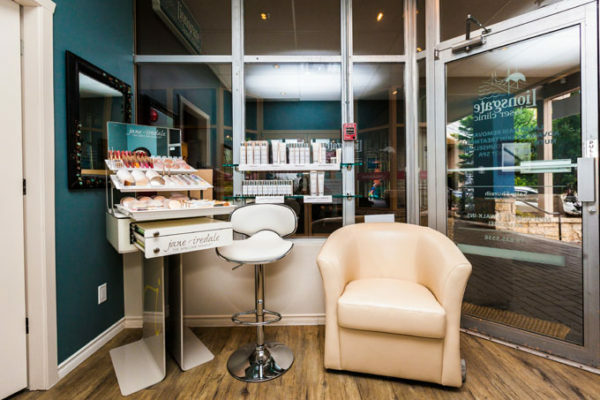 We have two fully functioning clinics in Whistler and Squamish both equipped with the Light Sheer Diode to serve you, whenever you are available to book. Sally also services North Vancouver from Techniks Hair Salon on Dollarton Hwy twice a month. Visit our contact page to request your free consultation at the clinic of your choice. PAY FOR 3 GET 2 FREE! 90% of our clients lose 90% of their hair in just 5 treatments! Book your free consultation today!